With 55.1% of total votes, Druk Nyamrup Tshogp won 30 seats. Druk Phuensum Tshogpa will sit in the opposition for the second consecutive term with 17 seats. 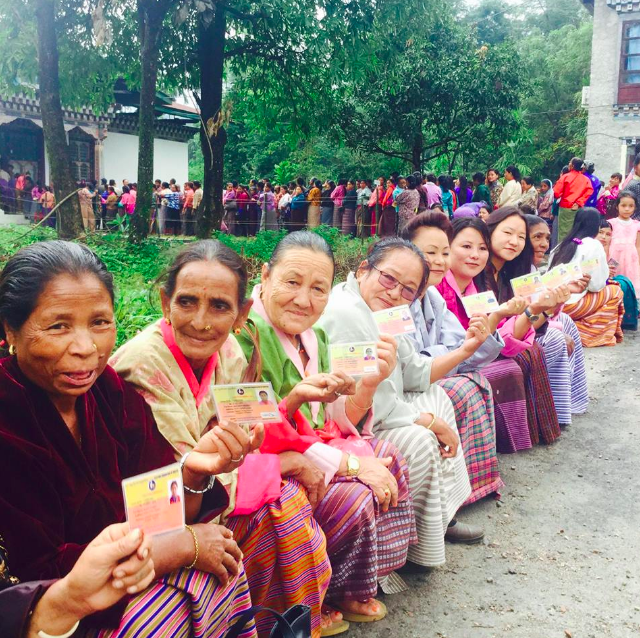 New Delhi: As Bhutan went to the polls on Thursday, a large number of voters turned up with a majority opting for the new political party, Druk Nyamrup Tshogpa (DNT), which secured 55.1% of the total votes. The South Asian country has sought change for the third time in ten years of democracy. Bhutan is the third country in the region to go for general elections this year – after Pakistan and the Maldives. Bangladesh is also slated to go for general elections, but dates are yet to be announced. Till now, both Pakistan and the Maldives have witnessed a change of government and new faces at the top, with now Bhutan also following suit. Over 71% of all registered voters had cast their vote after polling closed on Thursday evening. This was higher than the voting percentage of 66% in last month’s primary round and the 2013 general elections. Three hours after the polling officially closed, provisional results for all the 47 seats of the National Assembly had been announced. With 55.1% of total votes, DNT won 30 seats. Druk Phuensum Tshogpa (DPT), which won the first parliamentary election in 2008, will sit in the opposition for the second consecutive term with 17 seats. Bhutan also doubled the number of women members of the lower house of parliament – from three in 2013 to 7 in 2018. Bhutan’s next prime minister will be 50-year-old Lotay Tshering, a consultant urologist. He had joined politics in 2013 when he became the last announced candidate for DNT. Since he was working in a government hospital, Tshering had to pay Ngultrum 6.2 million (about Rs 6.2 million) to clear service obligations before his resignation was accepted from service to be able to stand for elections. However, both his party and him were knocked out in the primary round in the second National Assembly elections. He was the head of the Bhutanese King’s Kidu medical unit – that travels to remote parts of the country – from 2014 to 2018. Last year, he was awarded the Druk Thuksey (Heart Son of Bhutan) medal by the king. The main themes of his campaign had revolved around tackling unemployment and rising inequality as well as a better management of hydropower resources. Compared to DPT, Tshering’s party has been more critical of involving the private sector in the hydropower industry, which is the key economic sector in Bhutan. DNT had been a surprise first in the primary round of general elections held on September 15. Bhutan’s constitution requires two rounds of voting if there are more than two political parties in the fray for the National Assembly. DNT won 31.5% of the votes in the primary round, followed closely by DPT at 30.6%. It was a shock result for the ruling People’s Democratic Party (PDP), which was knocked out from the general elections as it had won just 27.2% of the votes. While DNT had a higher percentage of total votes, it won a lower number of constituencies – 16 to DPT’s 22. In the general round, PDP’s votes seem to have largely transferred to DNT. All nine constituencies won by the PDP in the primary round were won by DNT. Further, it also wrested six more constituencies from western and eastern Bhutan which had been won by DPT in the primary round. The DPT has found itself limited to eastern Bhutan in this election. Postal ballots had been decisive in the primary round. PDP had won 31% of the votes cast through electronic voting machines on polling day on September 15. But, it got just 22% compared to 35% for DNT last month, which led the latter to run to the pole position. In Thursday’s election, DNT won 56.8% of the postal ballots, which had seen a turnout of 83%. In the run-up to the elections, Bhutanese newspaper Kuensel had termed the campaign as the “most divisive” ever, with the “electoral process dividing the country into regions”. The campaign had been a bitter one, even though the Bhutan Election Commission has strict guidelines on social media and public debates. However, social media, especially Facebook and WeChat, have been fertile grounds for rumours and insinuations. DPT had filed several cases with the Election Commission against DNT for violating guidelines for messages in closed WeChat groups that insinuated that India would stop aid to Bhutan if the former won. 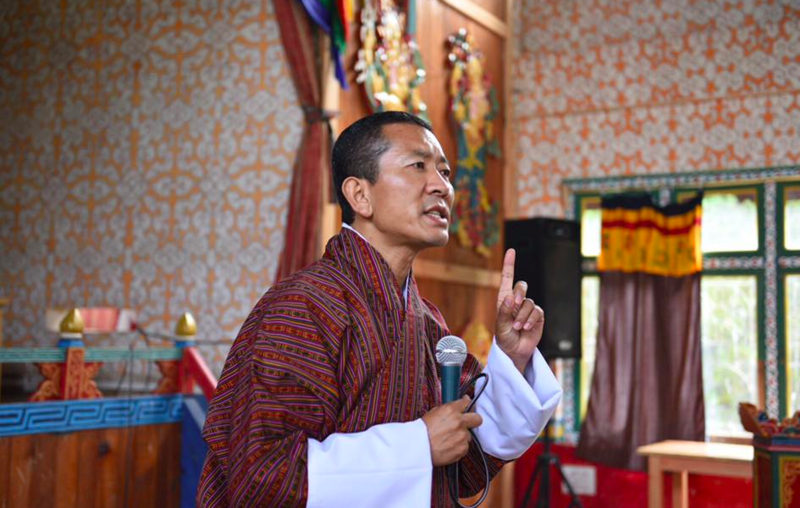 The DPT president Pema Gyamtsho had to publicly point out that rising fuel prices in Bhutan had nothing to do with any purported signal from the Indian government, but was due to the global increase in price of crude. DNT had claimed that DPT had targeted its leaders with defamatory remarks on social media, with 20 youth specifically hired for the purpose. This was denied by the DPT. After the provisional results were announced, DPT president congratulated DPT for the win. “DPT focused on economic self-reliance and I feel maybe not everyone understood that well. Democracy is about people’s choice,” he said.